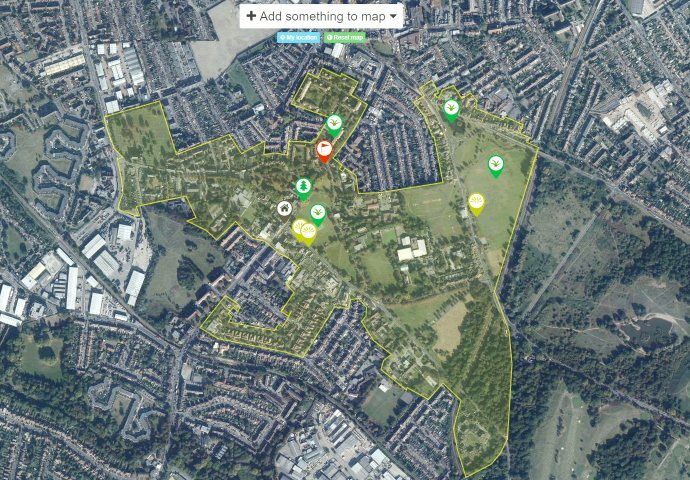 Mitcham Cricket Green Conservation Area came 4th in a national poll to find England’s Favourite Conservation Area. The vote was organised by Civic Voice, the umbrella body for England’s Civic Societies. A public vote ran for two weeks, and we spread the word, asking people to vote and share information with others. We were overwhelmed by the support we received, and by the positive things people had to say about our Conservation Area. Next year Cricket Green Conservation Area will be 50 years old – what a wonderful way to enter that 50th year! You can read the full details of the vote at the Civic Voice web site here. A huge THANK YOU to everyone who helped Cricket Green Conservation Area achieve 4th place. It is a truly stunning result – and it shows how much we all love our conservation area. This entry was posted in Cricket Green Conservation Area and tagged England's Favourite Conservation Area on October 22, 2018 by mitchamcricketgreen.